Four federal by-elections will be held across Canada on June 30, 2014, including in Alberta’s Macleod and Fort McMurray-Athabasca ridings made vacant by the retirements of Conservative Members of Parliament Ted Menzies and Brian Jean months ago. While most general elections in Alberta can be counted on to result in broad Conservative sweeps, Albertans have shown themselves to be a more unpredictable when an uncommon by-election is held. 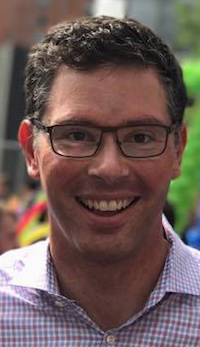 Last year’s by-election in Calgary-Centre, a riding represented by Conservatives for nearly fifty years came within a sliver of being won by Liberal Harvey Locke. And in 1989, the spark that led to a Reform Party sweep of the West four years later was lit when Deborah Grey won a by-election in Beaver River. 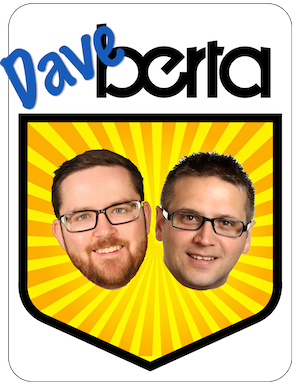 This year’s by-election in Fort McMurray-Athabasca is expected to be particularly interesting. Home of Canada’s Oil Sands, this riding is Ground Zero for the international debate about climate change, pipelines and the future of the energy industry. This riding is also demographically different than southern Alberta’s Macleod or most other rural Alberta ridings. Home to a young and transient population that includes Aboriginals, New Canadians and Canadians from across the country (and many temporary foreign workers), the industrial nature of employment in the riding means it also has a higher percentage of labour union membership than most rural Alberta ridings. Low levels of voter turnout in recent general elections (40% turnout in 2011) could contribute to an unpredictable by-election result. While much of the northern half of the riding benefits from an industrial boom, the Municipality of Wood Buffalo faces the incredible challenge of keeping up with the pressures that accompany this type of fast growth – transportation infrastructure (and Highway 63), housing, public services, etc. 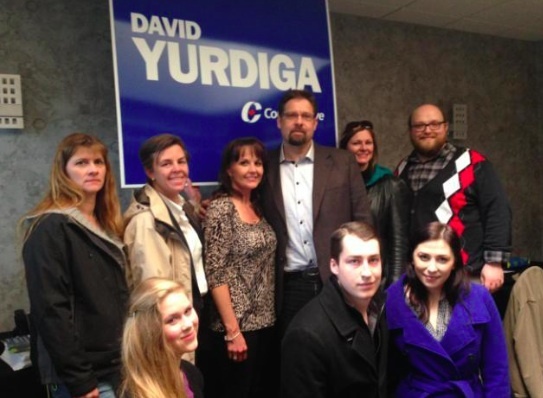 Some local Fort McMurray-ites I have spoken with feel that federal government has not contributed its fair share in helping their community deal with these pressures – something that Conservative candidate David Yurdiga is likely to hear about at the doorsteps. 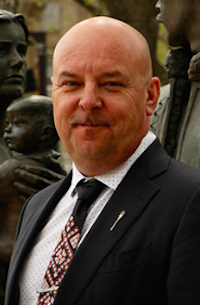 Mr. Yurdiga hails from the vote-rich southern portion of the riding, where he is a councillor in the County of Athabasca (the area he represents on County Council will not be part of the new Fort McMurray-Cold Lake riding, which will be created at the next federal election). 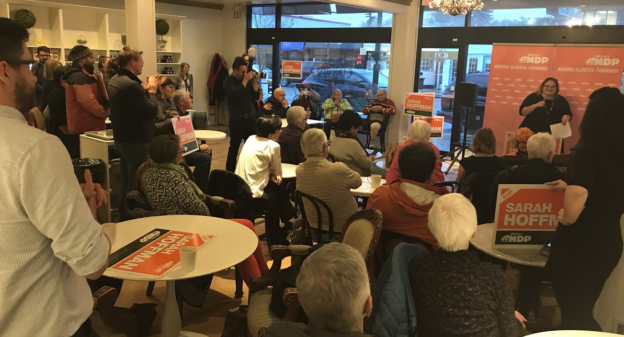 The regional divide between the northern and southern parts of this riding are relevant and the large geographic distances can present a significant challenge in organizing an effective campaign. 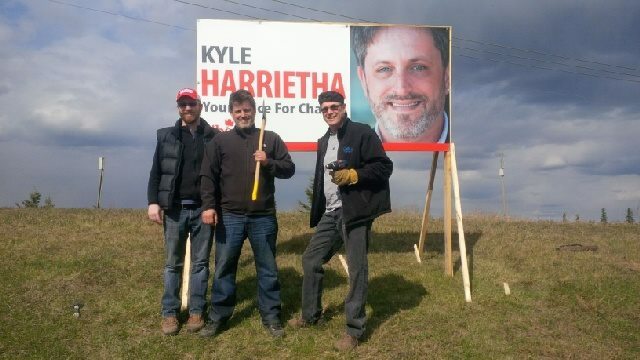 Mr. Yurdiga will face a strong challenge from well-organized Liberal candidate Kyle Harrietha, who has been bolstered by Justin Trudeau, who has become a frequent visitor to the community over the past year. Mr. Harrietha also draws on the support of an extensive network that includes provincial Progressive Conservatives, community organizers (he was a campaign manager for Wood Buffalo Mayor Melissa Blake) and the Metis community, who he works for as executive director of General Manager of Fort McMurray Métis Local 1935. While Mr. Harrietha is certainly the underdog in this race, resentment toward the former MP and a lacklustre Conservative nomination race could help him make gains in this by-election (and now would be a good time for Mr. Trudeau to make sure Ottawa-South MP David McGuinty does not stray off message). 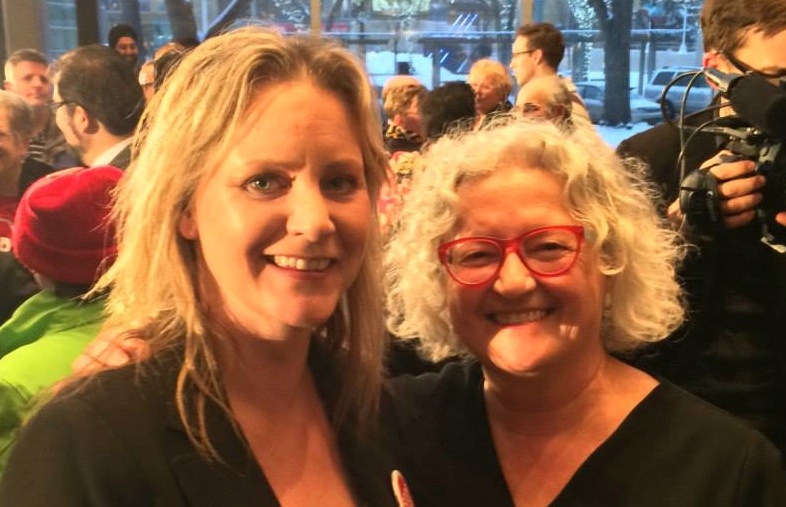 NDP candidate Lori McDaniel with Edmonton-Strathcona NDP MP Linda Duncan (Photo from Lori McDaniel’s Facebook Page). The New Democrats have nominated Suncor employee and Unifor Local 707A health and safety representative Lori McDaniel as their candidate. This by-election will be an important test for the official opposition NDP, who have been criticized by Conservatives for leader Tom Mulcair‘s ‘Dutch Disease‘ comments last year. In a gesture of pan-Canadianism, it perhaps would not be a bad idea for Mr. Mulcair to fly his party’s large contingent of first-term MPs from Quebec to campaign alongside Ms. McDaniel in the by-election in our nation’s new industrial capital. It would probably help her campaign and expand the horizons of opposition MPs who are sometimes too eager to criticize those who work in Canada’s energy industry. Federal by-elections in Alberta have proven to be unpredictable events and if the trend continues, as I sense it might, the results of the Fort McMurray-Athabasca vote could be very interesting on June 30. Next post… a by-election in Cowboy Country (aka Macleod)… yah hoo. This entry was posted in Alberta Politics, Canadian Politics and tagged Alberta by-elections, Beaver River, Brian Jean, Calgary-Centre, County of Athabasca, Cowboy Country, David McGuinty, Deborah Grey, Dutch Disease, Fort McMurray Métis Local 1935, Fort McMurray-Athabasca by-election, Fort McMurray-Cold Lake, Harvey Locke, Highway 63, Justin Trudeau, Kellie Leitch, Kyle Harreitha, Linda Duncan, Lori McDaniel, Macleod By-Election, Melissa Blake, Ottawa-South, Suncor, Ted Menzies, Temporary Foreign Workers, Tom Mulcair, Unifor Local 707A, Wood Buffalo on May 12, 2014 by Dave Cournoyer. 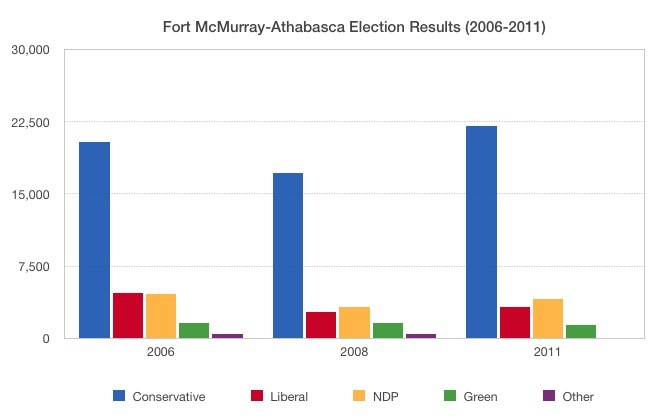 A History of recent Federal By-Elections in Alberta. The November 26 by-election in Calgary-Centre will be the fourth federal by-election held in Alberta in the past twenty-six years. In that time, only one of the by-elections saw the election of a candidate not from the incumbent political party. All three by-elections were won by candidates representing conservative parties. Progressive Conservative Member of Parliament Peter Elzinga jumped into provincial politics and was elected as an MLA that year, vacating the riding he had represented since 1974. Longtime Sturgeon County councillor and reeve Walter Van De Walle faced a high-profile main competitor, New Democrat Ivor Dent, in a closely fought by-election. Mr. Dent had served as Mayor of Edmonton from 1968 to 1974. When the votes were counted, Mr. Van De Walle defeated Mr. Dent by a narrow margin of 274 votes. Although Mr. Dent did not win the by-election, the strong showing for the NDP foreshadowed that party’s first federal electoral win in Alberta two year’s later when Ross Harvey was elected in Edmonton-East. Tory MP John Dahmer died five days after he was elected in the November 21, 1988 election, triggering a by-election in this safe Tory riding. 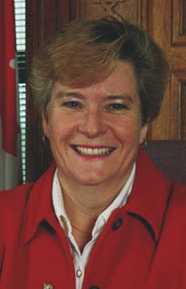 Reform Party candidate Deborah Grey earned a distant 4th place finish in the 1988 general election and carried the young protest party’s banner in the by-election only months later. 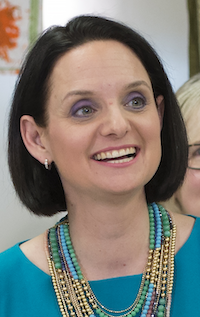 Riding a wave of western Canadian discontent with Prime Minister Brian Mulroney‘s PCs, Ms. Grey surprised the nation when she defeated PC candidate Dave Broda by 18%, becoming the first Reform Party MP. 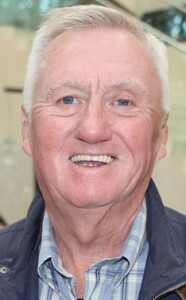 (Mr. Broda would later serve as the PC MLA for Redwater from 1997 to 2004). Ms. Grey was re-elected with 58% of the vote in the 1993 election along with 51 other Reform Party candidates. 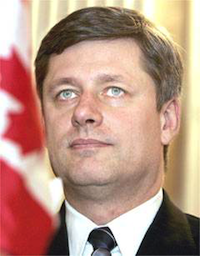 While he served as the Reform Party MP for Calgary-West from 1993 to 1997, Stephen Harper was not a sitting MP when he replaced Stockwell Day as leader of the Canadian Alliance in 2002. With a by-election expected in the riding vacated by former Reform Party leader Preston Manning, Mr. Harper managed to convince a reluctant Ezra Levant to step aside as his party’s already nominated candidate. Mr. Harper was elected with 71% of the vote, more than 10,000 votes ahead of United Church Minister Bill Phipps, his NDP challenger. The Liberal Party declined to run a candidate in order to not oppose the new party leader’s entry into the House of Commons. This entry was posted in Alberta Politics and tagged Bill Phipps, Brian Mulroney, Dave Broda, Deborah Grey, Ezra Levant, Ivor Dent, John Dahmer, Peter Elzinga, Preston Manning, Stephen Harper, Stockwell Day, Walter Van De Walle on October 29, 2012 by Dave Cournoyer.